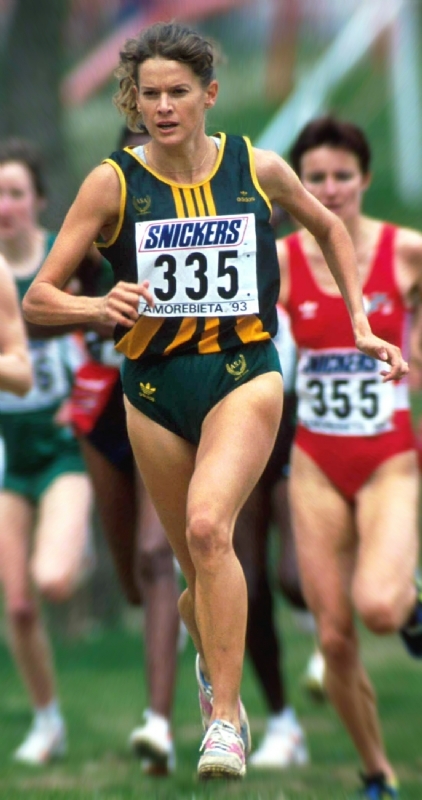 Zola Budd (born as Zola Pieterse in Bloemfontein, Orange Free State, South Africa) is a famous Athlete from South Africa, she is 52 years old and still alive, born May 26, 1966. Zola Budd (after marriage Zola Pieterse) is a former South African long-distance runner who started for the United Kingdom. Zola Budd in 1984 at the age of seventeen became world famous, as she got the world record in 5,000-meter race at 15:01,83 minutes improved. Since that time South Africa was excluded because of the apartheid system of all international sports competitions, she applied for British citizenship, which she claimed that she had a British grandfather. The application has been processed so quickly that they could compete at the 1984 Olympic Games in Los Angeles for her new country. There she started in the 3000-meter run against her idol Mary Decker. The eight year old U.S. citizen was in this discipline as the favorite for the gold medal. During the race, but the two collided, so that Mary Decker fell and was eliminated. The American audience whistled the young athlete then mercilessly and saw them as the sole culprit for the resignation of one of the most popular American athletes. Zola Budd was unnerved seventh of the final run. The following year she won the World Cross Country Championships and placed (14:48,07 min) another world record over 5000 m. In 1986 she defended her world title in cross country and ran a world indoor record for 3,000 m. Then she went through to create an injury, so she stayed at the European Athletics Championships 1986 without a medal. A dispute over an alleged participation in a sporting event in their home country meant that they returned to South Africa in 1988 and for several years retired from competitive sports. In 1989, she married Mike Pieterse. After the sporting sanctions against South Africa were lifted, she was among the team of their country at the 1992 Olympics in Barcelona, but reached more than 3000 m is not the final. A year later, she was fourth in the Cross Country World Cup. Today she lives in her parents' farm with her mother, her husband and three children. She still runs regularly, but now a pleasure. She is born under the zodiac gemini, who is known for Communication, Indecision, Inquisitive, Intelligent, Changeable. Our collection contains 8 quotes who is written / told by Zola. "I found them uncomfortable and after that I decided to continue running barefoot because I found it more comfortable. I felt more in touch with what was happening - I could actually feel the track"
"Coming from a farming background, I saw nothing out of the ordinary in running barefoot, although it seemed to startle the rest of the athletics world. I have always enjoyed going barefoot and when I was growing up I seldom wore shoes, even when I went into town"
"Looking back... it's hard to understand what all the fuss was about as things changed in just a few years. When you look at all the things that have happened in the world, it seems very small"
"I have strong views about South African politics and I still don't feel I need to make public statements"
"I no longer run barefoot"
"Tea-shops were to become my favourite haunts in England"
"I will never regret not denouncing apartheid"
"I can drink tea until the cows come home and I love the atmosphere in tea-shops"